Cosmofin sheet membrane from Projex Group was installed as a waterproofing solution at the Blacktown Village Green project in Blacktown NSW. The Village Green had recently upgraded common areas over the existing retail shops, with new walkways and garden areas created as part of an initiative to improve facilities and green space for the public. Suters Architects specified Cosmofin sheet membrane distributed by Projex Group as a solution for waterproofing these areas. The membrane had to be long lasting, low maintenance and certified root-proof (FLL Tested) for use in landscaped areas. 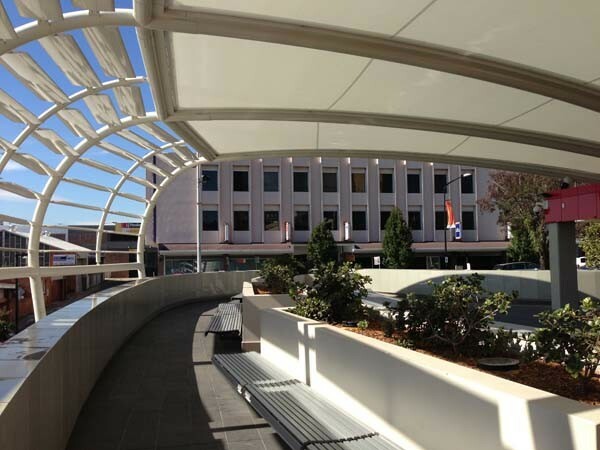 Used widely in Australia for over 18 years on a range of commercial and residential projects, the Cosmofin sheet membrane system is environment-friendly and recyclable, and offers UV stability. Projex Group offers a comprehensive back-up service for all Cosmofin installations. Manufactured by Wolfin Membranes in Germany, the Cosmofin waterproofing system was installed in the Village Green project by Galdar Waterproofing.